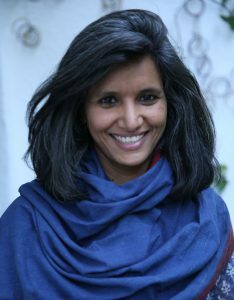 Chhaya Bhanti is an entrepreneur and change maker whose work in sustainability bridges visual thinking and systems design principles with technical expertise. Based in India, she is the founder of Vertiver, a design-based sustainability consultancy. She also co-founded Iora Ecological Solutions a group that designs, develops and implements projects in forestry, sustainable land use, climate change mitigation and adaptation, and sustainable agriculture. In the video, at the end of this post, Chhaya describes her most recent project successes from her work in India. Your life journey is fascinating! How did Presidio Graduate School help you make a career pivot? Prior to joining Presidio Graduate School, I worked for many years in New York City as a branding and communications strategist. As a result, I gained insight into the system that manufactures aspirations. And on how consumerism’s value chain wreaks havoc on the planet’s natural resources. My mother was a social worker, from her I learned we are all capable of making positive change. This stirred me into quitting my cushy job as head of Assouline Inc., a luxury branding agency and move to San Francisco to pursue an MBA at Presidio Graduate School (PGS). Focusing on environmental finance and renewable energy in the program, I had the wonderful opportunity to work with Paul Hawken and Janine Benyus at OneSun Solar. Also, I worked as Chief Strategist for Lumisolair, a solar/wind startup in New York that came to life in Brooklyn, thanks to the vibrant “green” business environment fostered by Mayor Michael Bloomberg. 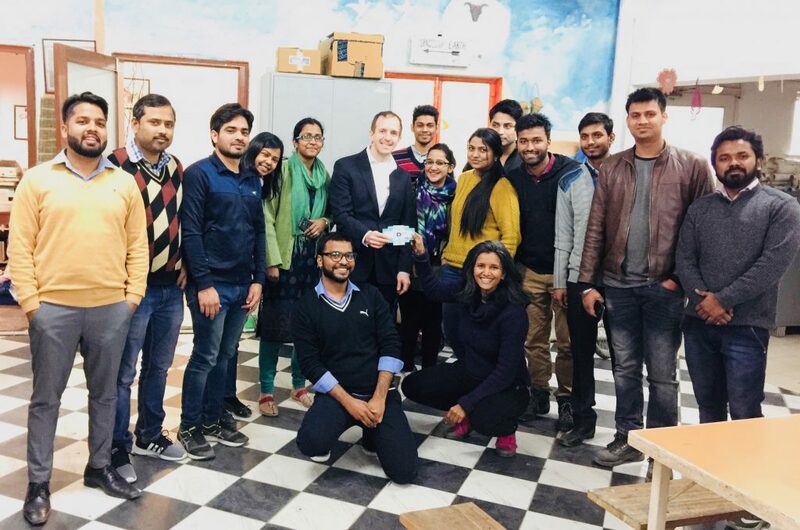 When I moved back to India, I wanted to apply everything I had learned, from visual communications to clean technology to enabling environmental conservation and climate action. Vertiver and Iora Ecological Solutions are the results. At Vertiver, we work with creative tools for storytelling and strategy to catalyze action for sustainable development. We engage stakeholders on specific solutions for climate change mitigation and develop toolkits that provide a blueprint for effective action. What are you working on at Iora? Here the work crosses disciplines to help conserve ecosystems. Iora offers a sophisticated platform for climate action and resource conservation. For example, the Geospatial Analysis Lab team monitor forest degradation and land use changes. They map datasets from remote sensors to track real-time changes in vegetation. This information is used to design on-ground conservation actions by forestry experts. Our climate solutions team is developing adaptation and carbon neutrality strategies in India. We are working closely with government departments, development agencies, technology providers, and financial groups to structure integrated solutions across India. Why did you choose Presidio Graduate School? I wanted to make a career pivot. Joining this program offered a counterbalance to the work that I was doing in branding and advertising. So I picked PGS over other schools because the founders’ vision was deeply rooted in environmental and social values, not commerce. Plus, I was inspired by the work of alumni, which clearly reflected these ethics and authentic sustainability in action. That is exactly what I was looking for to prepare for a career pivot to social impact work. How is the program different? The difference is in the values that guide the program. PGS infuses “compassion” and “heart” into teaching practices that help create truly sustainable business models. The school doesn’t profess a singular ‘technical’ approach typically offered by most MBA programs. Being at PGS is about finally finding your own tribe. The learning journey is inspiring and even spiritually transformative. All MBAs offer a peer community but, I think what PGS offers is a sense of a family all tied together with strong ethical values. How has being a Presidian helped shape who you are today? I was about to career pivot and enter a world much different than what I had experienced in New York City. Yet the frameworks and tools I learned made me much more confident in my abilities as a change agent. I like to think of myself as a “pragmatic environmental activist” that can use the lens of business and policy to enable change. And the PGS community, after all these years, continues to inspire and motivate me with what they are accomplishing. The network is so valuable. As a result, I am fortunate to have many Presidians as friends and guides. I remain in close contact with them. What helped prepare you the most for your current work? At PGS, the teaching methods combined design thinking and creative leadership within the MBA curriculum. I appreciate the program’s emphasis on tackling complexity with creative and analytical skills. This is especially relevant because, at Vertiver and Iora, we work with rural communities and advise policymakers. To be effective, we must engage creatively with these stakeholders to understand needs and get buy-in for sustainable action. What is the most valuable takeaway from your MBA program experience? What's your strongest memory of your time as a student? Presentations throughout the semester where students injected incredible creativity, joy, and humor, yet developed innovative ideas for changing the world. Because of my communication strategy background, I was constantly impressed by the skills of my fellow students. The mastery of communication skills needed to create the conditions for change is a strength of the program. “BE A TRIMTAB.” This is a Buckminster Fuller phrase that Vertiver has adopted as its motto. It is a nautical and aviation term that refers to the role of a nearly invisible element in a massive system that can enable complete transformation. We all are hard at work, playing small roles in turning our ship around to a more sustainable way of being.